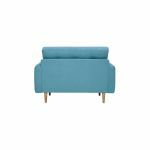 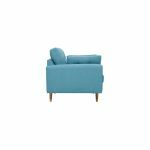 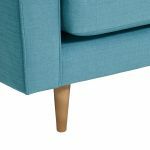 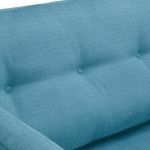 Bigger than an armchair, more compact than a sofa, the Brighton Sea Spray loveseat is a good size to nestle into. 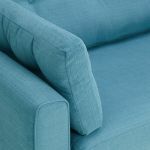 Two buttoned bolsters make this likely – it’s a very inviting look. 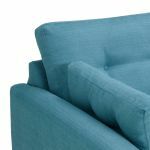 With foam and fibre fillings used in the best ways to keep this loveseat looking good and feeling comfy, this is a great chair for a smaller room, or for making a snug spot. 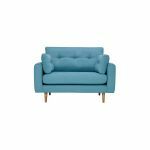 Combine with other pieces in the Brighton range for a bright, fresh look. 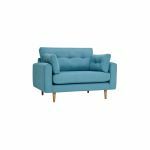 We offer free delivery on all orders.